Edwin was a little old-fashioned at times. He sat at a writing desk for starters. 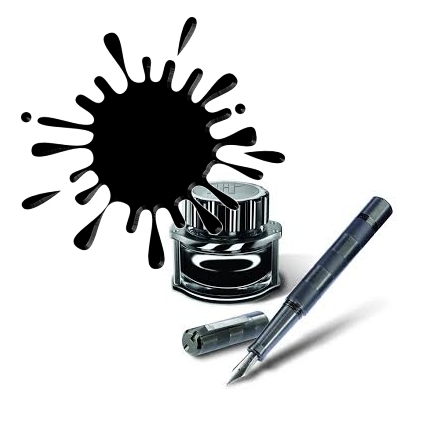 He wrote with a fountain pen that used real ink! In fact, this very afternoon he’d penned handwritten letters to each of his three grandchildren. His letters would be answered via emails of course, which he didn’t mind. But he still penned letters to them in long hand. WARNING: This may cause skin, eye and respiratory irritation. Ingestion of large quantities may cause nausea. If got in the eye, flush eyes with plenty of running water for at least 15 minutes. If on skin: wash clothing before reuse. Wear chemical gloves to avoid skin contact. Recommend use of safety glasses with side shields or goggles. FIRE FIGHTING INSTRUCTIONS: Keep unnecessary people away. Isolate hazard area and deny entry. Emergency equipment, including self-contained breathing apparatus and full firefighting turnout gear, should be worn by fire fighters.